A digital story is a series of images connected with text and/or a narrated soundtrack — captured by a digital device such as an iPad or smartphone — that tell a story. It can be fiction, non-fiction, narrative, biographic, expository, or even poetry. Think of Ken Burns’ The Civil War, or Colin Low’s City of Gold. Because of its multimedia approach and appealing blend of text, color, movement, sound, and images, it has fast become one of the most popular writing exercises in schools. These elements are the goal and may not be included in the first digital story written by a kindergartner, but by middle school, using the vast swath of multimedia tools available in digital storytelling, students will have no problem including all elements. Adobe Spark Video is an easy-to-use digital storytelling app for iPads. 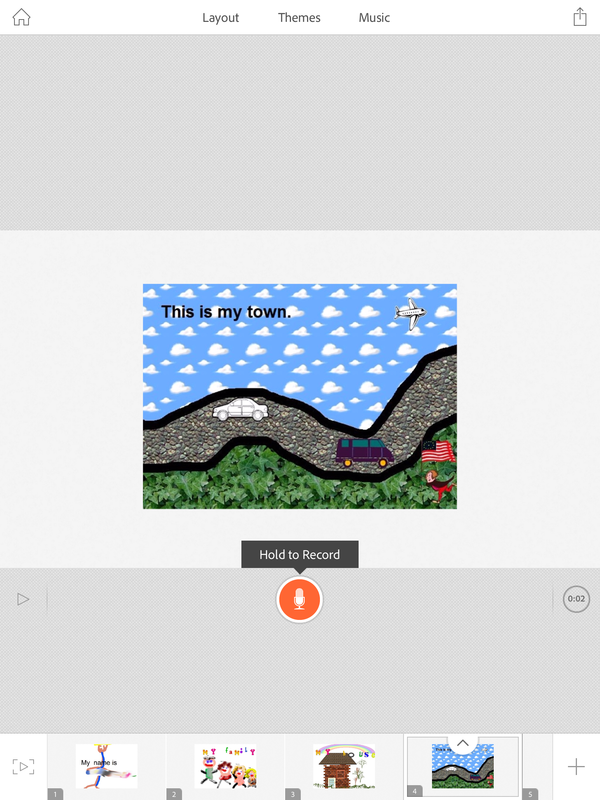 It integrates text, images, royalty-free clipart, background music, and the students’ own artwork into a story they tell and then renders it as a movie to be shared easily through the cloud. As the name implies, the storytelling revolves around the student’s own voice. While it lacks many of the bells and whistles of more sophisticated digital storytelling tools, it includes everything necessary to relay exciting, creative stories. Use Adobe Spark Video to teach all aspects of writing non-traditionally — without the need for pen and paper. This is a great way for writing-challenged students to learn about plot, setting, characters, domain-specific vocabulary, evidence, and the habits of close reading in a non-text way. Google Storybuilder tells a story with text and music through the eyes of specific individuals. No log-in is required, but students can register with their Google accounts. Start by adding two or more characters and then type the story as it unfolds through their eyes. 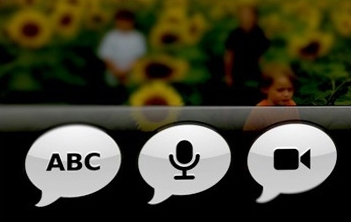 Only text is available (no other multimedia options such as images or video), so students must focus on language, vocabulary, and writing techniques. As each character ‘talks’, it looks on the screen as though they are editing the story in Google Docs as part of a collaborative exercise. When the second character takes over, they may delete what’s written and/or add to the manuscript with their own thoughts. When done editing, students can add music from an included royalty-free library. The finished story is shared as an animated video of the typing experience, including the clickity-clack of the keyboard. Sound confusing? It’s actually fast and easy to use and enormously fun for students to watch the completed video of the typing and editing process. This is easy enough for even young students (though keyboarding knowledge is essential). Use Google Storybuilder as a focused way for students to write-edit-rewrite manuscripts and gain an early understanding of the concept of ‘point of view’. With Puppet Pals, students add their voice-over to a selected cast of characters (only one available with the free version) and animate them to tell a story. The paid version provides additional characters and more storytelling options, but the free version allows for a great deal of flexibility in the writing process as well as an authentic expression of student ideas. This is a great visual way to act out experiences, teach lessons, share how-tos, make public service announcements, and tell a story from different points of view. It can be used not only for fiction, but narrative, argumentative, and expository writing exercises. Storybird is a gorgeous collection of high-quality artwork that has inspired over 5 million learners to write, from kindergarten up. Students pick an artistic theme for their story, then add text to as many pages as they’d like. Once finished, the story is saved as a booklet that can be shared via a link, printed, or embedded in class blogs or websites. Besides saving their own masterpieces, students can view the works of other students in the walled garden of their private Storybird library. The site works on most digital devices and is Common Core-aligned. 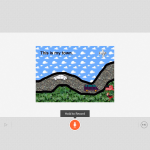 Storybird inspires both fiction and non-fiction writing through the use of images. It also reinforces speaking and listening skills as students comment appropriately on the work of classmates. Storykit makes it easy for beginners to tell stories with photos, text, personal drawings, and audio. Each page is created individually using images from the camera roll, the optional addition of audio, and then curated into a link that can be shared with others or uploaded to the Storykit server and made available to all users. Use Storykit for novice writers to reinforce the importance of varied media in stories. It’s also an effective tool to narrate any sort of pictures (life cycle, historic events, or even the biography of famous inventors). 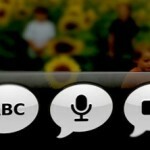 With Tellagami, students create a thirty-second story using an animated avatar (called a gami) that moves and talks in response to a recording of the student’s own words (added via voice or keyboard). 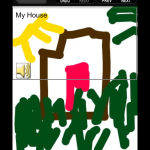 After customizing the gami’s appearance and emotions, it is placed in a background selected from the camera roll, taken with the device camera, or hand-drawn directly onto the screen. Finally, the audio overlay is added. When completed, it can be saved to the camera roll or shared via email or a variety of social media options. 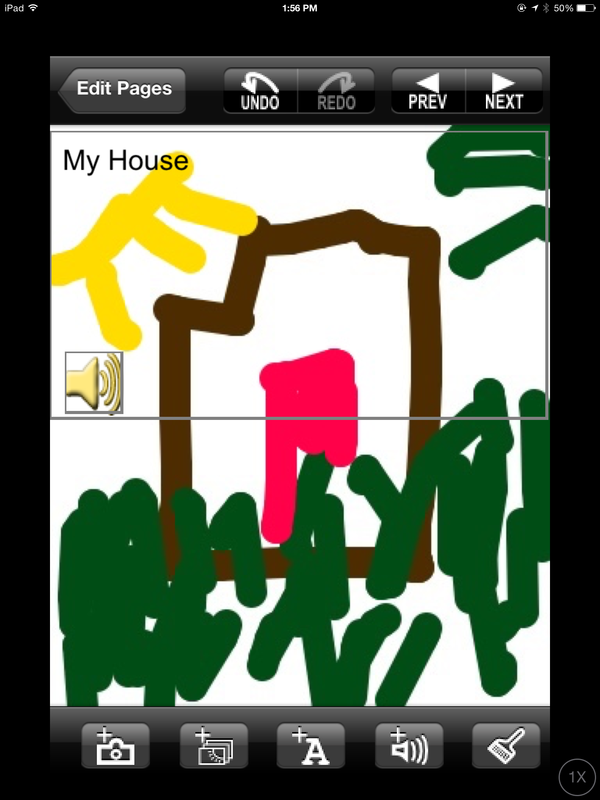 This app is well-suited for students who don’t particularly like a visual recording of themselves. The cartoon character makes it easier to communicate required information without what is–for some–the embarrassment of seeing themselves on video. Since there are no options for adding images or text, it is an easy-to-use and quick presentation method. This can include an introduction, a book review for the classroom library, an argument on a particular topic, or a class debate. VoiceThread is an interactive, cloud-based slideshow approach to digital storytelling that can share images, documents, videos, voice, and more. It’s intuitive to use, as simple as adding the media you desire with the click of a button and a drag-drop from your digital device. Once published, viewer comments are appended via typing, audio, or video. As students comment, they can draw on the screen and/or add other documents (images, files, and more) to better explain what’s being said. When completed, it’s saved as a video and can be shared in a wide variety of methods. This is one of the most powerful digital storytelling tools, allowing users to share a wide variety of media in support of their story, narrative, documentary, or argument. Because VoiceThread welcomes comments, it is a great way to generate conversation on a topic and practicing speaking/listening skills. Zimmertwins at School is the education side of the popular Zimmertwins, an animated, Web-based, movie-making site based on two 12 year-olds who have psychic powers. Students make animated short films using these predetermined characters including expressions, actions, backgrounds, customized dialogue, and text to turn these into original stories on almost any topic. Students can even add speech bubbles and transitional words (such as ‘Meanwhile…’) to frames which makes this option the closest to a comic book of all. Through the dashboard, teachers can manage student activity and restore lost passwords. This is a great first step in using animation and movies for digital stories. Because many of the pieces are prescribed, it is best for creative writing and short stories. Zooburst is an augmented reality, 3D pop-up storytelling site for mobile and web-based devices. Students write their multi-page story on a draggable canvas and then add scalable, customizable pop-up characters and pieces (from the site collection or uploaded from the local computer) to enhance the message. Completed stories can be shared as an augmented reality book (through a clever few steps that you won’t have any trouble completing), on the site server, or embedded into blogs, websites, or wikis with the embed code. This is the only site on this list that includes 3D and augmented reality. As such, it will become a favorite of students for not just digital storytelling, but language, vocabulary use, and reading classmate stories. However you start the use of digital storytelling in your classroom, just start! It will change the way students think of writing. Google Story builder is gone. That’s disappointing. Thx for letting me know.